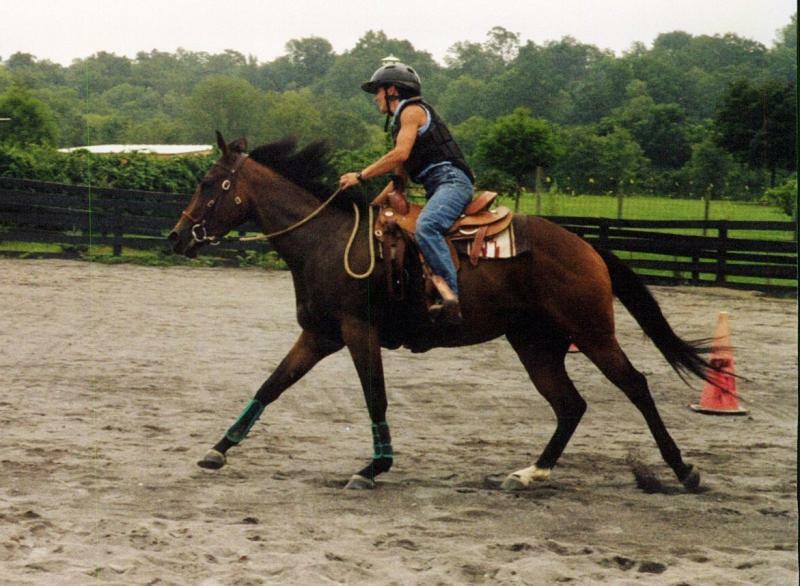 a three year old Appendix QH gelding. He came to Thunder Ridge in 2000 for greenbreaking. Beginning with thorough groundwork and continuing to desired level of training under-saddle. Working with weanlings for halter training and ground manners. Two and three year olds and older horses that need greenbreaking. Continuing education of the greenbroke horse. Refined schooling of the broke horse. Halter, obstacle and pleasure training for the show horse. While your horse or pony is being trained at Thunder Ridge daily care is of the utmost importance. A healthy animal is one who is physically up for the challenge of training. Since the emotional well being of our equines is also equally important, kind and humane treatment prepares an animal for the mental challenges of training. This standard is practiced continuously at Thunder Ridge. *Please contact me for questions and training rates. Gemini - 2 yr. old Percheron/TB at TR for greenbreaking in 2007. Copyright 2009 Thunder Ridge, Inc.. All rights reserved.